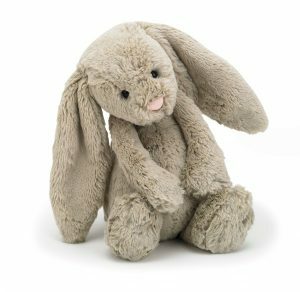 Have a hug and a hygge moment with Bashful Birch Bunny Medium. In gorgeous, soothing two-tone fur, this bunny’s as soft as a wandering cloud. With long lopsy ears and a squishy tummy, this fluffy Bashful’s just so bonny. A cosy companion to warm your heart on wild and wintry days.